Classic kitchens are the most timeless option when it comes to kitchen design. Not as ornate and fussy as many traditional styles, our classic kitchen designs offer the perfect compromise between traditional and contemporary. We are experts in making luxury kitchens with an uncompromising attention to detail. At The Brighton Kitchen Company we understand that a new kitchen is a big investment. Our classic kitchens are the perfect answer for those seeking a kitchen style that truly stands the test of time. All of our classic kitchens are fresh, elegant, and bring an air of refinement to both traditional and modern homes. Our bespoke classic designs are the perfect starting point for creating a luxury kitchen style that fits in with your lifestyle and the style of your home. We can make your classic kitchen as simple or as sophisticated as you like, blending modern or vintage appliances and a whole selection of luxurious features designed specifically for you. Our bespoke designs are all put together with you at the heart of the design process. We want everything you have dreamed of in a kitchen to be included and more. Our talented designers will get to know you and create a kitchen design that delivers on style and makes functioning in the kitchen a dream. 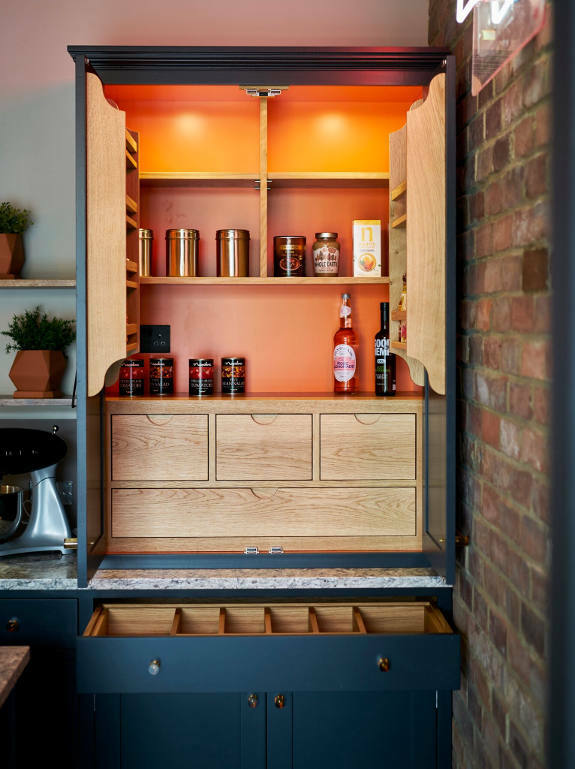 Every tiny detail from colours and finishes to handles, exciting storage ideas, flooring, worktops and choice of appliances will be designed with the utmost thoughtfulness and care. We promise to consider every minute detail to bring you a unique design you’ll love to spend time in every single day. We think it’s important that we support local trade, so we have sought out and partnered with an exceptionally skilled cabinet maker based in the heart of Sussex. All of our handmade kitchens are constructed locally. It’s one of the things we love about our classic handmade kitchens. Our clients across Sussex, Surrey and Kent are delighted too. 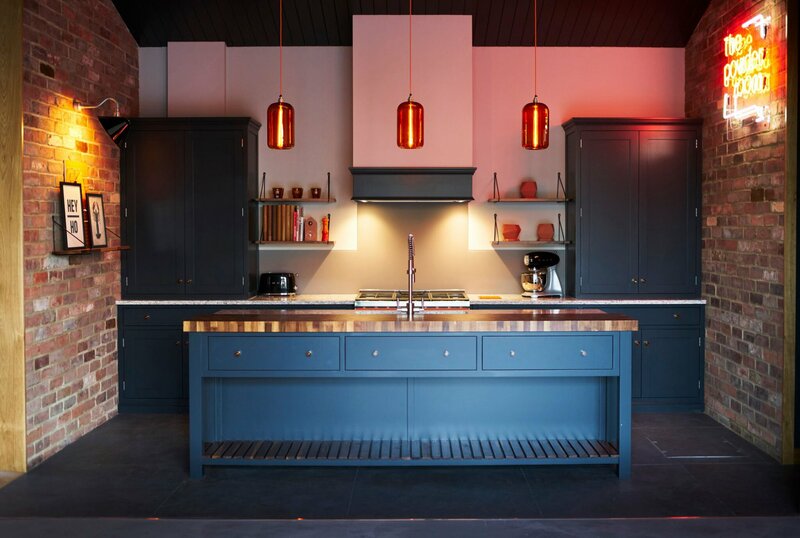 We match creative imagination with outstanding technical knowledge, and the exceptional talent of our skilled cabinet maker, to design and craft handmade kitchens that are unrivalled in quality and built to last. All of our kitchens are characterised by their individual details and fine craftsmanship. We are passionate about bringing kitchen dreams to life. 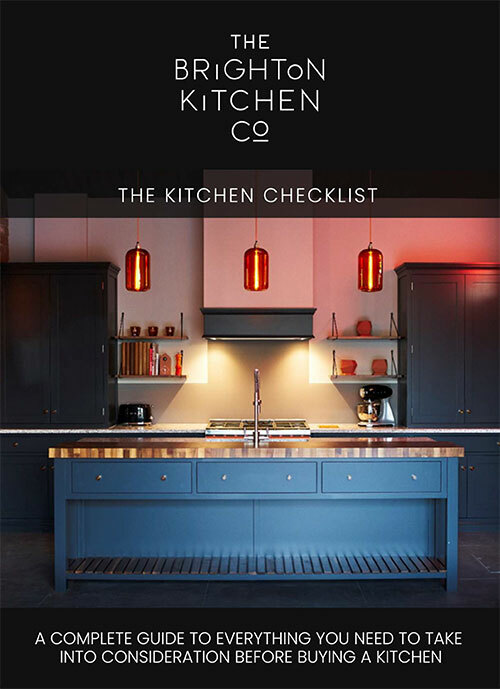 Wherever you are, whether in the heart of Brighton’s city, or anywhere in Sussex, Surrey, or further afield, we have the knowledge and expertise to bring you a classic kitchen to suit the architectural style of your home. You don’t have to worry about the investment. We make bespoke furniture you’ll never want to change. As well as offering a fully bespoke kitchen design service, we also work with a UK company producing high quality cabinetry with a variety of classic door styles. We are delighted to be able to offer our clients across Sussex, Surrey and Kent a more cost-effective solution. 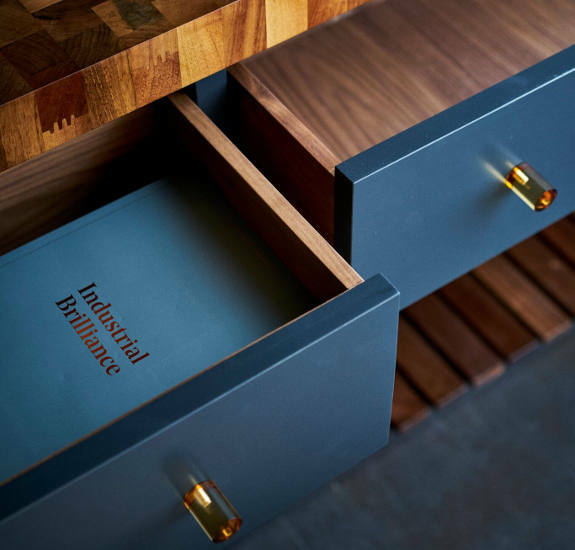 Beautifully made, all of our classic range are constructed to an incredibly high standard and come with a variety of storage options and an extensive choice of finishes. The beauty of a classic kitchen is in its flexibility. Easy to temper towards the modern or the more traditional, a classic kitchen style can be changed over the years according to your tastes. Adding lively colours, industrial lighting and contemporary seating to the design, your kitchen will instantly feel more modern. Or with the addition of ornate chairs, chandelier lighting and wood panelling, your kitchen will take on a more charming and traditional air. Whatever your kitchen desires, talk to our design team and we’ll help you find a kitchen style you can fall in love with.